The following items have been printed for clients and are made available for sale through this web site. Any inquiries regarding these products should be made directly to the business or organization listing the product. Payment can be made directly by clicking the PayPal buttons. Payments are processed through The Technology Centre and remitted to the customer. 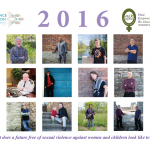 HER Grey Bruce has created this Calendar featuring local men and their messages, to engage our community & beyond to raise awareness about Sexual Violence & Harassment in support of the Ontario Action Plan. 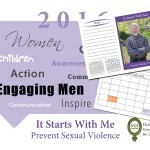 Key dates to remember and links to web sites and information sources are included. Price: $20.00 includes both HST & Shipping.